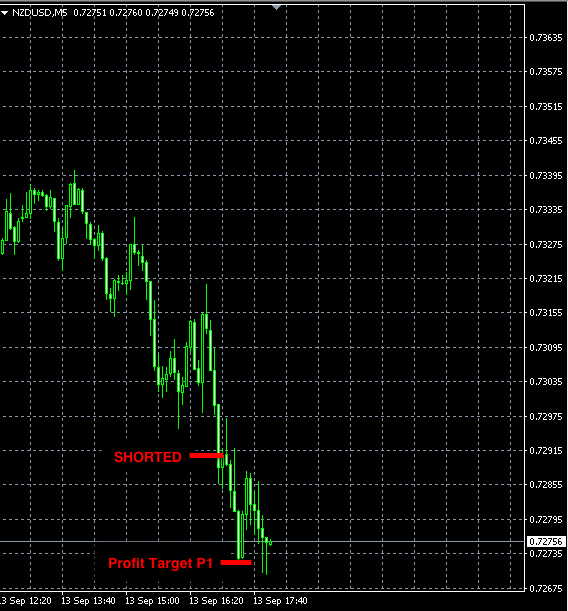 This trade reached our first profit target for the +20 pips profit and then triggered the trailing stop-loss orders at 100.41 for the remaining 2 units. 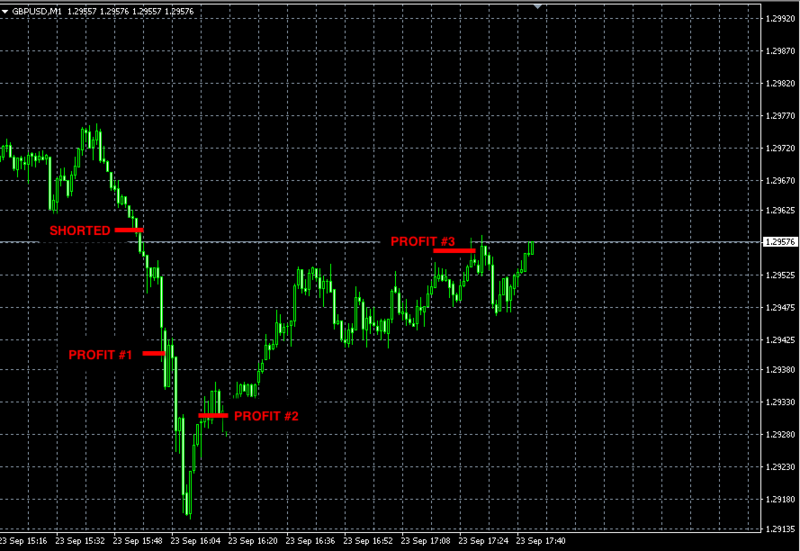 The total result is 20-14 = +6 pips profit. 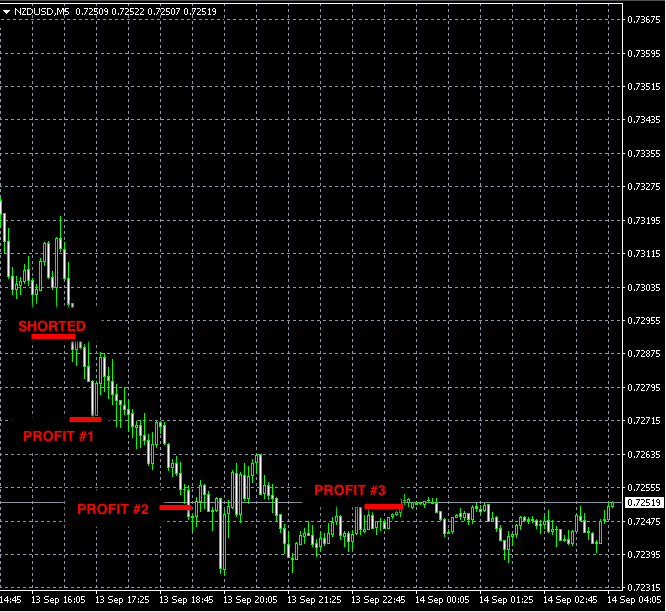 In total this week our signals made +50 pips of profit. This was a quite week as the markets were waiting for major announcements on Thursday. Therefore there were no clear trading opportunities and we didn’t trade until Friday. Fr., Sep. 23 Forex signal reached its 1st profit target so far. So far this trade reached its first profit target for +19 pips profit and the remaining position’s stop-loss is set below the entry price (at the break-even). 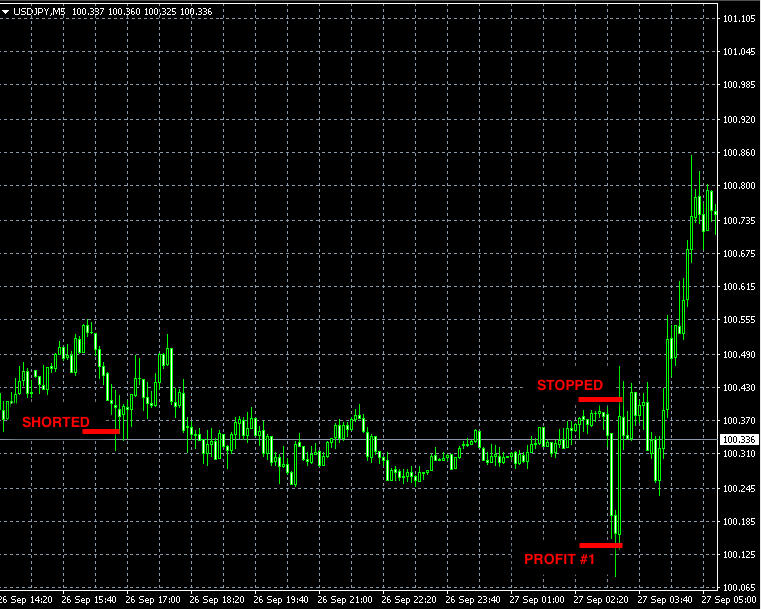 In total this week our signals made +126 pips of profit. 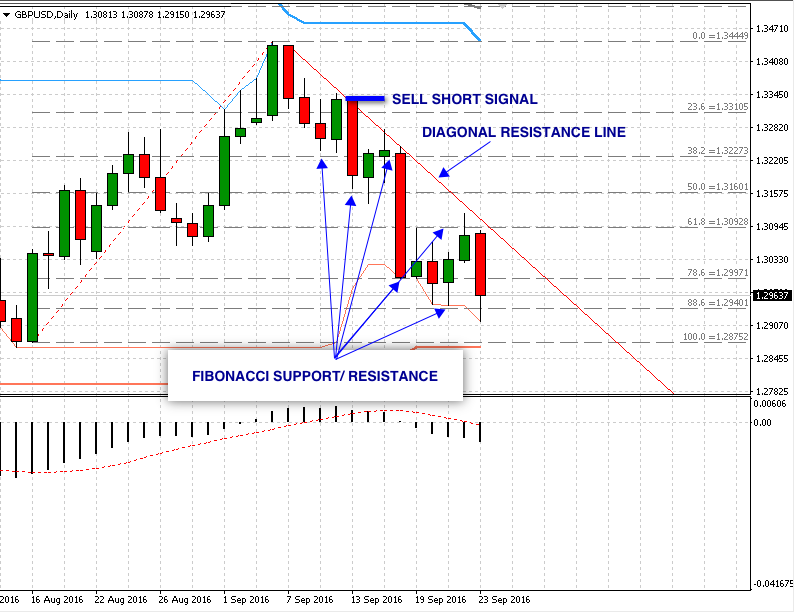 The GBPUSD short sell signal reached its first profit target on Friday for the net gain of +65 pips. The GBPUSD short position is still open with 2 remaining units having their stop-loss orders at the break even price of 1.3292.